Home » Digital Product Reviews » Master Writing Job Review: A Scam or A Legit Way To Start Your Career? Are you thinking of pursuing Master writing Job? If the answer to that is yes, then read the review below. You’ll be surprised and will be in shock with the amount of information you’ll gain about this job! First, of all let me introduce you to Master writing jobs! #1 Introduction To Master Writing Job! #2 Where Does It All Go Wrong? (iv) They Don’t Actually Teach You How To Become A Freelance Writer! (v) Becoming A Member Leads You To Nothing! (vi) They Fail To Comply With Their 60-Day Money Back Guarantee! The mastermind behind this is James (according to sources), and according to him, it’s a groundbreaking site where there are plenty of job opportunities but pretty fewer writers. 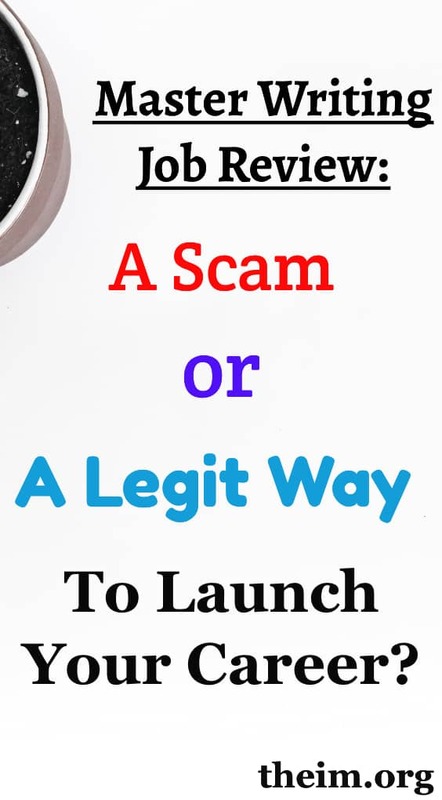 This is a program that primarily targets anybody who wishes to make money online on various social media platforms such as Facebook. Initially, they promote via video which develops false expectations in your mind. Because we all know in reality there is a different picture altogether. In reality, Master writing Review is nothing but a $34 ebook with the same old usual advice you can find anywhere online, and worst of all most of it is entirely unrelated to work as a writer. The so-called “jobs database” is a page with various links on them such as upwork and iwriter. Now, what’s the point of paying $34 for this information when I can easily get it from google. The site tries to pressure you into buying the $34 ebook by saying that only a few of them are available. And we know that this isn’t true and this is one of their tactics to attract more sales. At the top corner, you will be able to see that there are several logos. For example CNN, NBC, Fox, Forbes, etc. But when you visit these sites, you will find out that there is no mention of master writing jobs whatsoever. This makes it clear that the website wants to show prestige when there isn’t any. If you scroll further down, you will notice that there are plenty of testimonials. These testimonials are from happy members who are earning more than 70k a year after getting access to this system. Now, what’s the catch here? The above testimonials are false! There is no proof to back them up. It’s just a tactic to make them look credible which they are not. I agree a vast majority of people out there have no clue when it comes to freelance writing jobs. You need proper guidance or maybe a training program. Master writing job does claim to offer such a program but in reality, fails to come through with the offer. The closest that you come to some sort of training is a variety of eBooks that the creators of Master Writing Jobs put together to sell off as “training.” The problem is you won’t learn much from these books that you can use to find you a legit freelance writing job. Also, these eBooks contain information that is outdated and can be found readily available online for free. They say they offer an extensive training programme given you become a member, but that is another false claim made by them. All you’ll find is that you have access to a variety of different eBooks. For instance, “how to make money with Google,” “How to make money on eBay,” “how to make money with Amazon and even how to make money on Twitter.” etc. Now, tell me how is one supposed to learn about freelance writing from such ebooks? They can’t because it isn’t the right source. Plenty of people out there have been approached by them. They attract people by their 60-day money back Guarantee. However, reality and actuality are quite different. There are plenty of complaints given by various entities who have not received their return money! 1. To be honest, none! 1. It Costs $34 for you to find a job. 2. No substantial training programme! 3. Will definitely not help you land a writing job! 4. Obvious signs of a scam! According to me, master Writing without any doubt is a scam. There is no argument in that. I don’t take pleasure in naming a course or a program a scam. But this one deserves it. They have been over the period taking advantage of people and taking away their hard earned money. It’s fair to say that with the inflated and over exaggerated earnings claims, fake testimonials, the significant number of complaints and the fact that Master Writing Jobs don’t stand by their refunds policy all indicated to me this is a scam. Not to be blunt but there are plenty of sites available who will provide you with jobs as a freelance writer. For instance: upwork, fiver, iwriter.com, etc. there I provided you this without costing you a penny! For this common knowledge, master writing job costs you more than $30 which is so ridiculous. You think you need to pay someone to grab such opportunities, but actually, you really don’t. It is quite simple. The above sites will help you access plenty of job opportunities. There are plenty of things that I hate about Master Writing Jobs. And if I were to write about them all, this post would be several pages long. So, to conclude here, I would say that the master writing job is a scam, and please stay clear of them. To conclude, I believe you should steer clear of master writing job and be aware in the future of any such scams. If you have any experiences feel free to share them here in the comment section below! 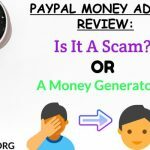 If you like to read about more internet scam, you can check this Paypal money adder scam. 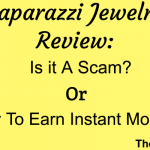 However, you can check this out Paparazzi Accessory Review and Rev Transcription jobs to earn legal money from home. Check out, how to sell feet pictures online, if you like to earn money in the weird way to make money. 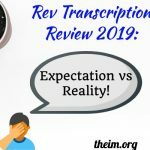 Rev Transcription Review 2019: Is It Scam or Worth The Hype? Wow, thanks for the heads up and some tips to watch up for freelance writing sites.